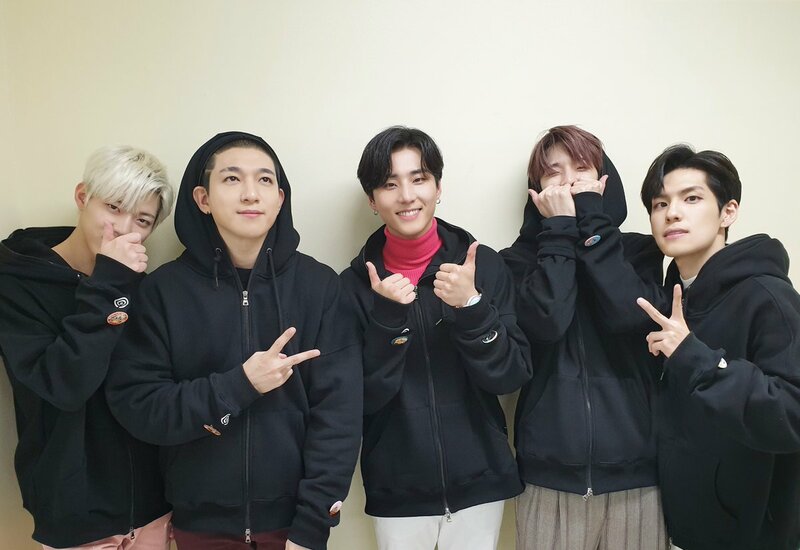 Day6 is a pop-rock and alternative rock band from South Korea that debuted in 2015, under JYP Entertainment, with the song titled “Congratulations.” The band consists of five talented members, namely Sung-jin as the leader and rhythm guitarist, Jae as the lead guitarist and also the oldest member of the group, Young K as the bassist who also wrote a lot of Day6’s song lyrics, Won-pil as the keyboard player who also plays synthesizer, and Do-woon as the maknae who plays drum. All of the members, except Do-woon, are singing in the band. Day6 has already released four mini-albums, including their debut mini-album, The Day, their second mini-album, Daydream, and Youth series mini-album, Shoot Me: Youth Part 1 and Remember Us: Youth Part 2. They also released two albums in 2017, Sunrise and Moonrise, which consist of songs from every Day6 project, where they released two songs every month throughout the year 2017. 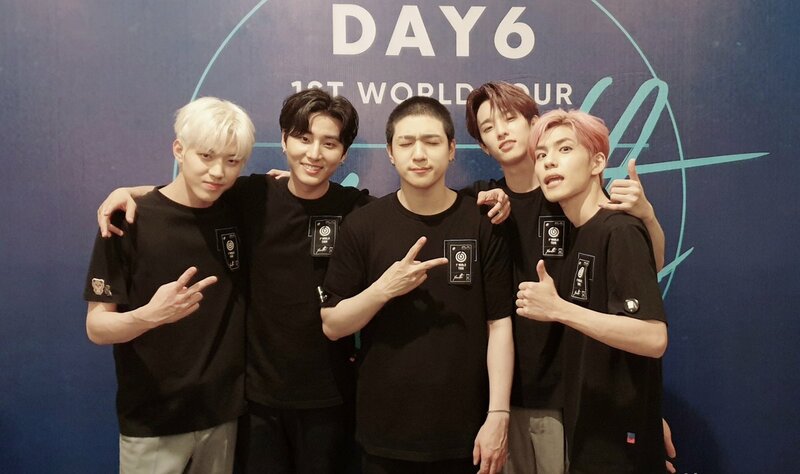 After being present on the scene for almost three years, Day6 made an announcement on their official Twitter account, @day6official, that they were going to make a world tour starting from June 2018, in Seoul. Their First World Tour, titled “Youth,” is also included in their latest two mini-albums, Shoot Me: Youth Part 1 and Remember Us: Youth Part 2, both released in 2018. 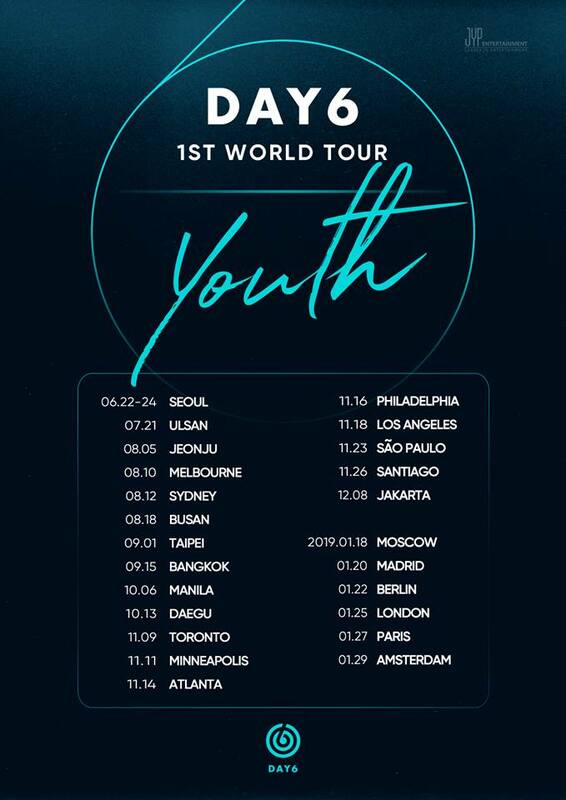 On May 18th, Day6 announced the world tour schedule and cities, a few weeks before they announced Shoot Me: Youth Part 1. Even though they released Remember Us: Youth Part 2 on December 10th, and released the single song “Beautiful Feeling” on September 9th, these two songs didn’t get included in the setlist. When Day6 first announced their World Tour, they didn’t release any details regarding the Europe tour. 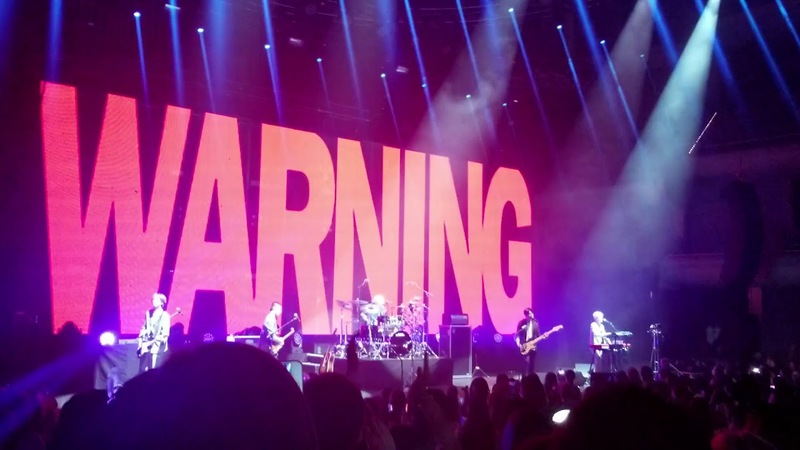 Later on, more precisely on September 18th, they announced additional tour dates and details regarding the cities that they will visit during their world tour. 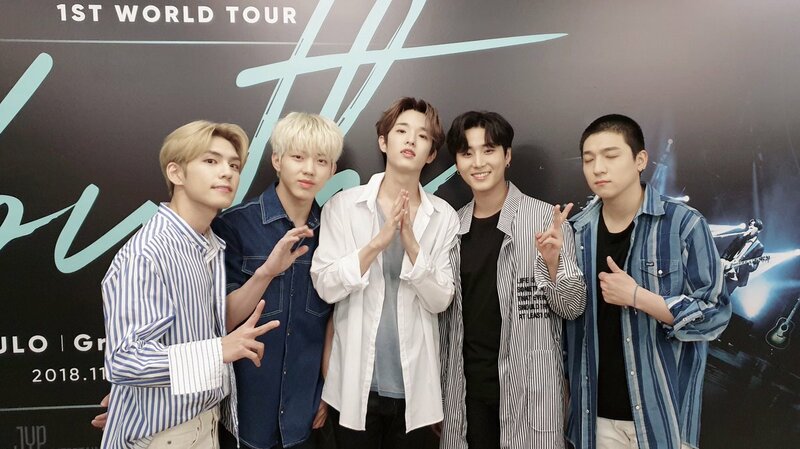 Seoul was the first city of Day6’s First World Tour, and they held concerts for three consecutive days, on June 22nd, June 23rd, and June 24th, 2018. 우리랑 3일동안 달려주신 여러분 진심으로 감사드립니다 ㅠㅠ 여러분 덕분에 너무나도 행복하고 뜻 깊은 공연이 됐습니다. 이게 우리 월드투어의 시작이니 이제부터도 화이팅! The concert venue was Olympic Hall, the same venue where they held every Day6 Finale Concert as a closing for every Day6 project. The second destination for Day6’s First World Tour was Ulsan. The concert was held in July 2018, about a month after the concert in Seoul. A few weeks later Day6 visited Jeonju as their third destination on their First World Tour. They held the concert in Sori Arts Center in Jeollabuk-do. Young K said on V Live that he had eaten Siraegi soup the night before the concert and his voice came out really nice in the morning.